Water is the most important ingrediance in beer. The geography of the water effects certain styles of beer. For example, England is better for making stouts while the water in Australia is better for pale ales. 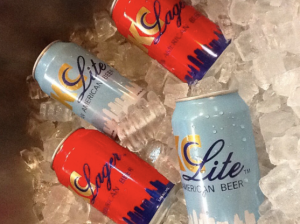 Here in America good old fashioned lager is the brew of choice. Hops is the agent used for flavoring all beer but the amount of hops varies depending on the style of beer. Hops are dried and pelletted to use as the flavoring agent and the beginning of the process but can also be added later for more aroma and color. Barley is the grain that is malted as a source of starches and sugars that when combined with yeast create alcohol. To extract the sugars, the grain is soaked in water, allowed to germinate and then dried in a kiln. Yeast is responsible for fermentating the sugars and creating alcohol. It also influences the color and flavor of the beer and effects the alcohol content. Often yeast is filtered out of beer after fermenting but sometimes left in to add cloudiness. Why Not Sell & Drink a Label You Created? Turn your private label or trademark into premium beverages when you want to impress your Customers, Clients & Fans with great tasting sports beverages for any event. 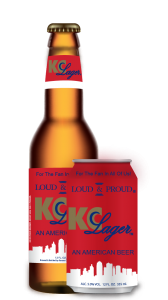 KCBreweriesCo would like to thank the following supporters, communities and sports fans of Kansas City Football, Kansas City Baseball, Kansas City Soccer and Nascar WoO for successful introduction of our premium domestic KCBrands. The following retailers will be some of the first to have our newest production labels. Contact Sales@KansasCityBreweriesCompany.com to be added to the list of KCBrand retailers. KCBreweriesCo provides Retailers, Hospitality & Sporting events with private label trademark beverages & bottling services that generate venue/brand recognition, customer/fan loyalty & huge returns/profits over existing domestic, import & craft branded beverages. For your questions and concerns on Private Label Production, please email Info@KansasCityBreweriesCompany.com or call: 816-507-1328. 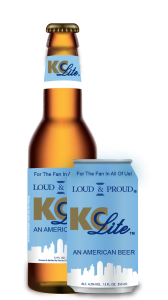 To join over 130 KCBreweriesCo investors please email Shareholder@KansasCityBreweriesCompany.com for our latest prospectus or follow up on your favorite Social Network.